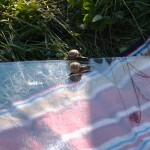 Sunday June 24th started off in much the same vein as nearly all the previous days of the month, wet. 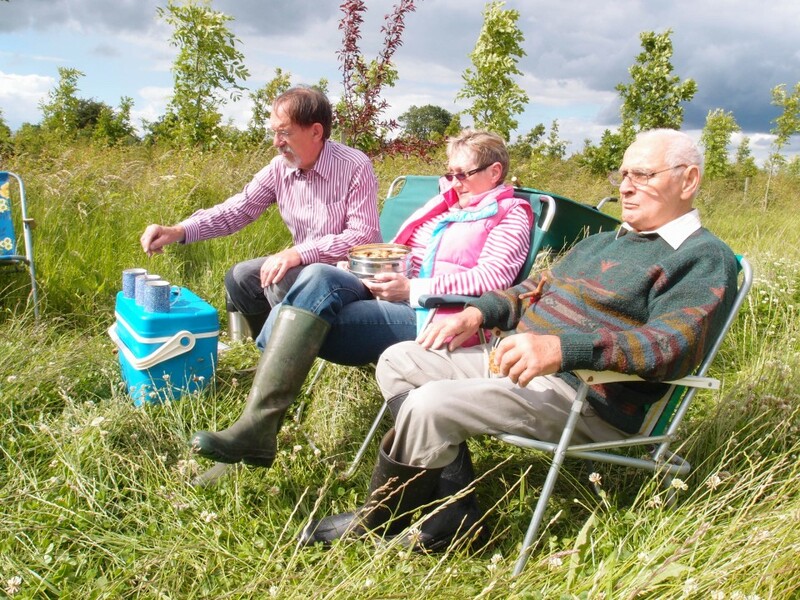 The forecast was positive so the message went out that the picnic was on. 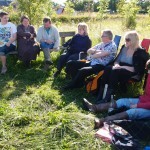 No sooner had electronic mail delivered the good news, the heavens opened and it chucked it down. 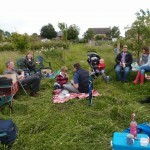 Luckily by picnic time the sun had decided to shine. 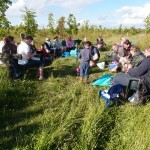 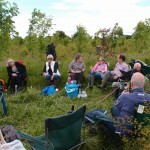 So the annual trudge to the Jubilee Wood with food and seating paid off. 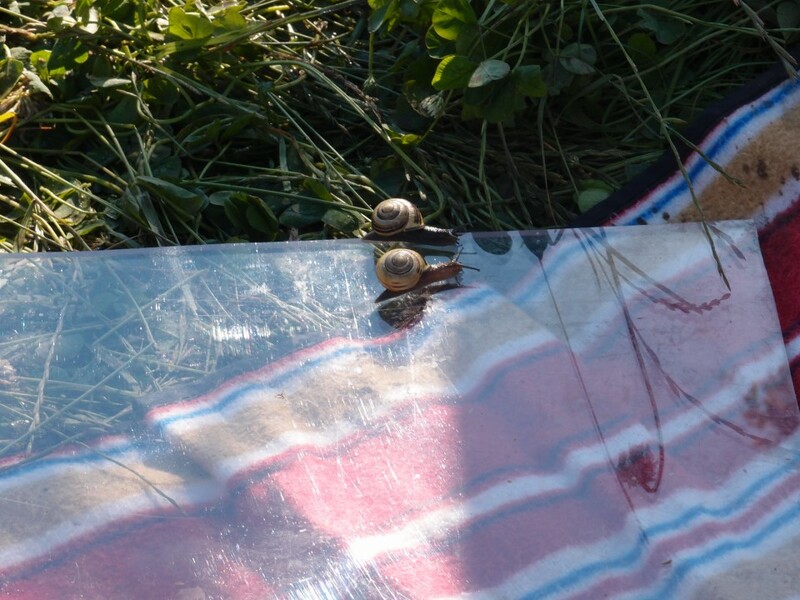 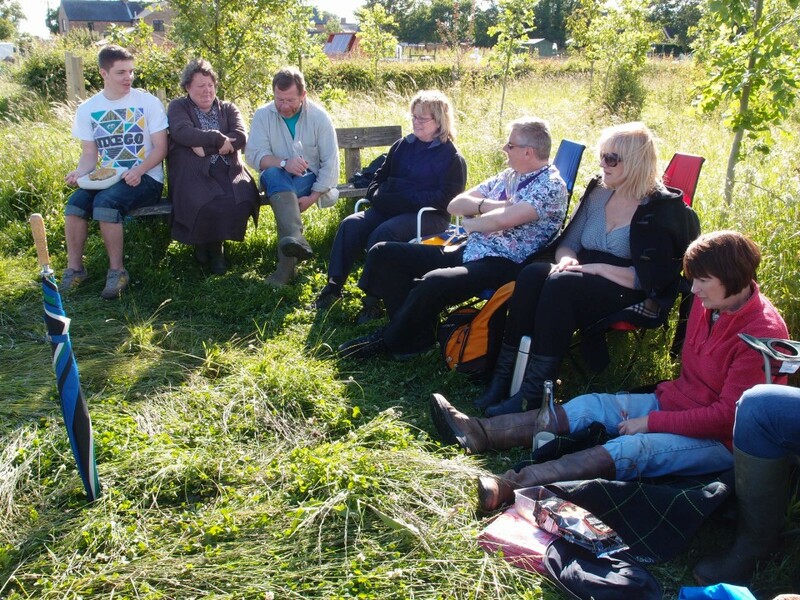 A grand gathering of villagers sitting in the sunshine getting trench foot but enjoying the conversation and the snail racing. 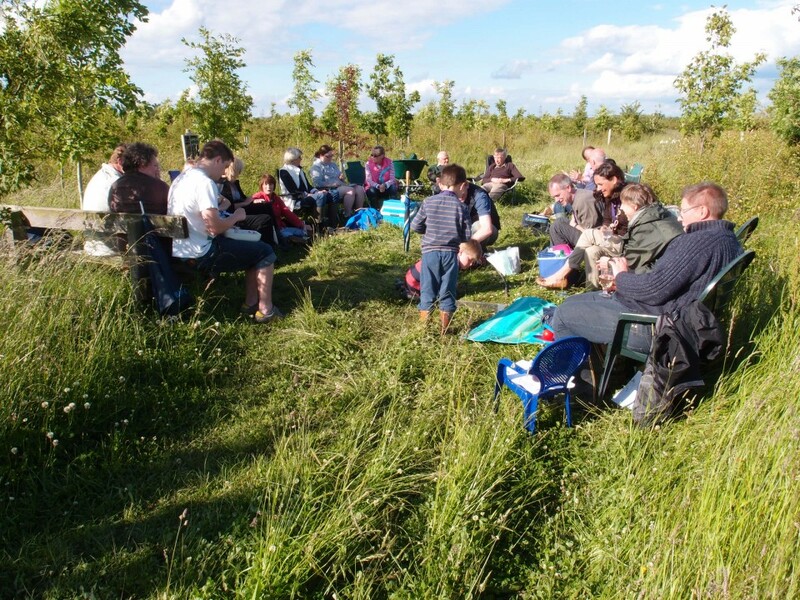 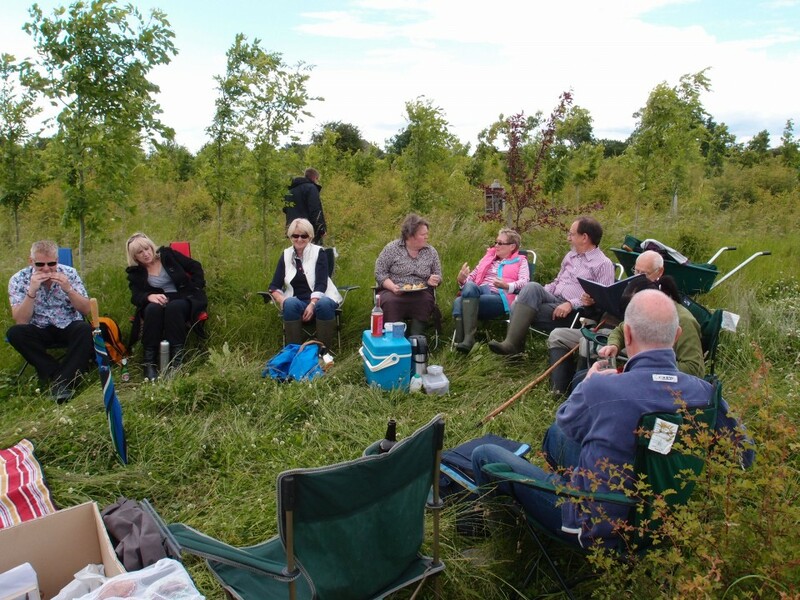 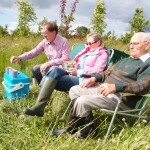 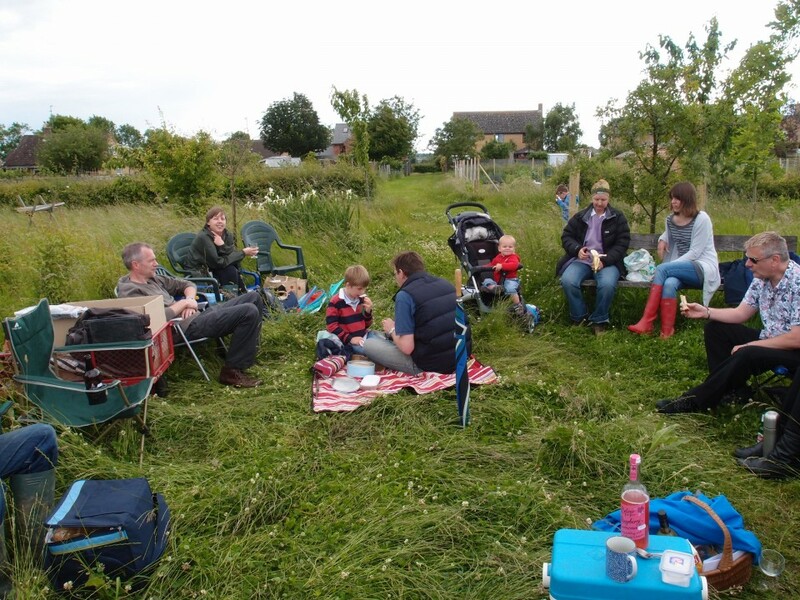 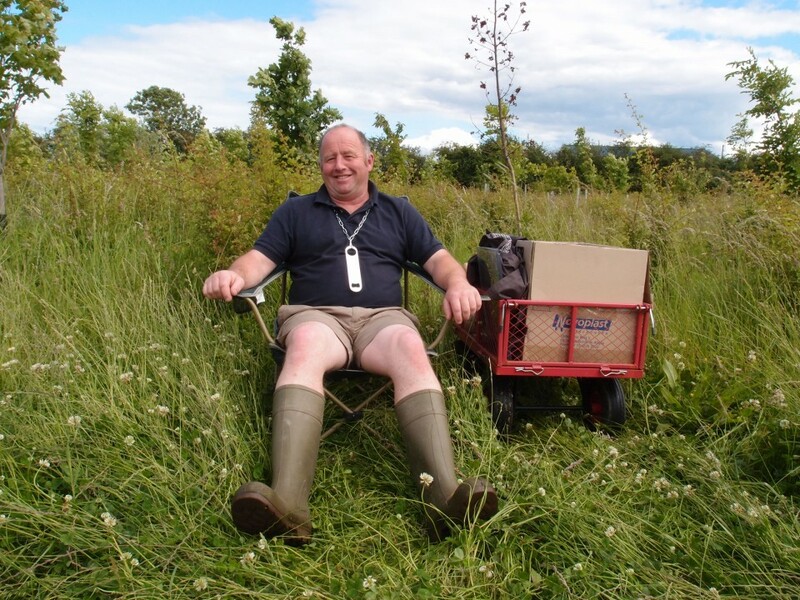 Next year 2013 will be the 10th year of planting the Jubilee Wood so a special picnic is called for so I propose a 1pm start on Sunday June 23rd. 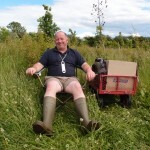 The long term weather forecast is positive although it might rain.